In 2017 and early 2018, many of Cache Creek's older residents participated in a planning process to develop an Age-Friendly Plan for the Village. The Plan, adopted by Council this March, includes goals and policies geared to creating a community that is more accessible and healthy for seniors as they age. One of the main issues identified by participating seniors was a lack of appropriate and affordable housing to allow older adults to age in place in the community. The Age-Friendly Plan identifies a Seniors Housing Needs Assessment as an immediate priority to understand the current housing situation for seniors in Cache Creek and to gather concrete, in-depth data that would support future grant acquisition for seniors housing feasibility studies and potential housing construction. Funding has been awarded from the Union of BC Municipalities to conduct the Seniors Housing Needs Assessment. A 2009 study looked at seniors housing needs broadly in Cache Creek as applied to provincial trends in seniors housing. This 2018 study takes a more in-depth, on the ground approach to assessing seniors housing needs in Cache Creek and aims to refresh housing and demographic data used in the 2009 study. Please take 10-15 minutes to complete our housing assessment survey and encourage your friends and family to participate. All those 55 years of age and older are eligible to complete the survey. All input collected will remain confidential and used for the purpose of identifying common themes that can be highlighted in the Needs Assessment final report. The survey closes on July 30, 2018 at 4:00 p.m.
Hard copy surveys can be returned to the Village Office at 1389 Quartz Road. For more information about the project or support in completing the survey, please contact Lindsay Armitage, Village of Cache Creek at (250) 457-6237 or larmitage@cachecreek.info. * 1. 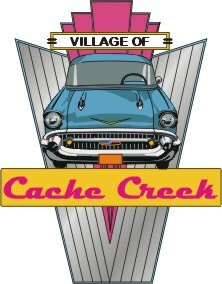 Are you a resident of Cache Creek? * 2. What is your age range? * 3. If responding as a couple, what age group is your spouse or partner in? * 5. Where do you live? * 6. Check which one describes your current housing situation. * 7. How old is the home that you live in? * 8. How long have you lived in your current home? * 9. How would you rate the condition of your current home? * 11. Please estimate your household's total gross income in 2017 (before taxes) or, if you live alone, enter your personal gross income. * 12. Please estimate whether you spend more than 30 percent of your gross monthly income for ALL housing costs (rent, mortgage, property taxes, home insurance, utilities). * 13. Do you feel your housing costs are affordable? * 14. Do you receive government assistance for housing? * 15. If yes, what type of assistance do you receive? * 16. Do you cut back on your food budget to pay your rent or mortgage? * 17. Do you put off paying bills so you can pay your rent or mortgage? * 18. Do you put off filling prescriptions so you can pay your rent or mortgage? * 19. Do you or your partner/spouse have any personal limitations that might affect where you can live? If you answered 'yes' please describe the limitation. * 20. Would anyone (e.g. ambulance, fire, police) have difficulty entering your current home? If 'yes', please explain why. * 21. Do you feel safe in your current housing? * 22. Does your present housing meet your needs at this time? * 23. How long do you plan to live in your current home? * 24. What reason would lead you to leave you current home? * 25. If you move, do you wish to remain in Cache Creek? * 26. If you move, what type of housing would you prefer to move into? * 28. Are there any other ideas or comments you would like us to consider about housing for older adults in Cache Creek? Please share. * 29. Did you complete all questions in the survey? If so, you are eligible to win a gift card to one of our local businesses! If interested, please share your name and a phone number where you can be reached.